Polished Turmeric Rhizomes, Unpolished Turmeric Rhizomes. We are offering Ambahaldi to our valuable customer's. Ambahaldi with its anti-bacterial and anti-inflammatory properties has been extensively used for the preparation of skin care products. This natural supplement along with others in the Hesh Health Care range is derived from Ayurveda, the ancient Indian therapy as a part of a healthy lifestyle. Our clients can avail finest range ofRaw Turmeric, which is hygienically processed under controlled environment. Extensively used in various cuisines for adding rich color to various dishes, our range is appreciated for freshness, nutritive value, aroma and distinctive flavor. Owing to its medicinal properties, it is also used in ayurvedic medicines, cosmetics, aromatherapy and others. Turmeric is one of the oldest known spices in the world. 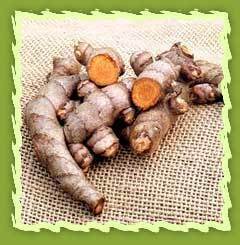 Turmeric plant is an erect growing perennial herb but commercially cultivated as an annual. Botanical name of turmeric is Curcuma longa. Turmeric is one of the oldest known spices in the world. Turmeric plant is an erect growing perennial herb but commercially cultivated as an annual. Botanical name of turmeric is Curcuma long. 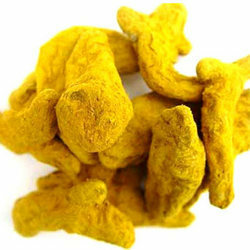 We are involved in exporting a qualitative range of Turmeric. It is popularly known as Indian Saffron. It has a strong yellowish texture and good aroma. Widely used in Indian Kitchens for adding color and improving the taste of the dish, it comprises certain medicinal properties and health benefits and keep bones and immune system healthy.